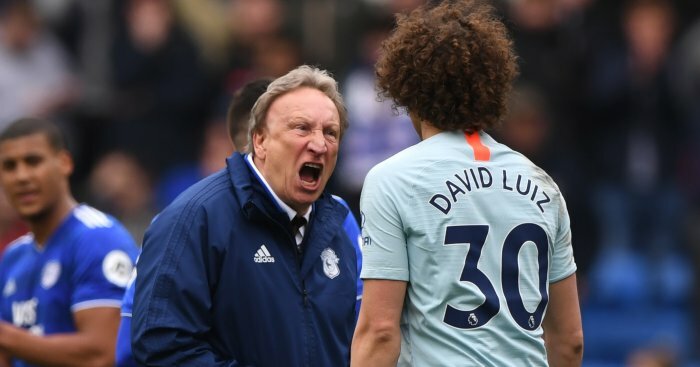 No prizes for guessing which team can consider themselves the most “brassed off” after this weekend’s action with Cardiff somehow snatching defeat from the jaws of victory against Chelsea, all in Ref Review. 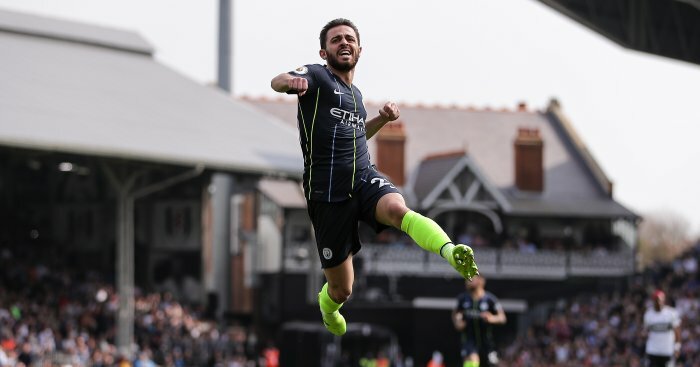 Bernardo Silva’s goal in Saturday’s early kick-off was one of those examples of how players can be in an offside position but aren’t actually committing an offence. 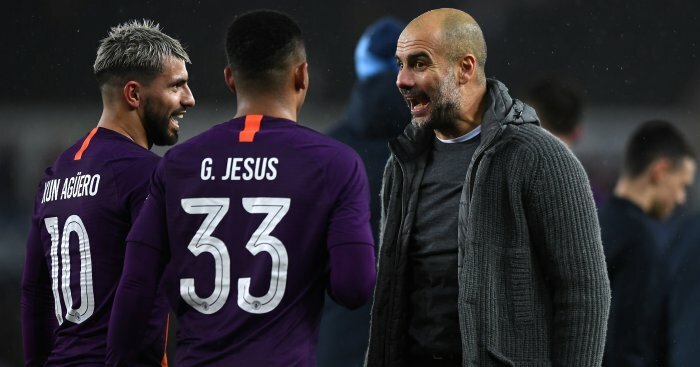 No less than four City players were in offside positions when Silva pulled the trigger but the rules clearly state that a player is only in an offside position if he becomes involved in active play – either by preventing an opponent from getting to the ball or by obstructing the goalkeeper’s vision. 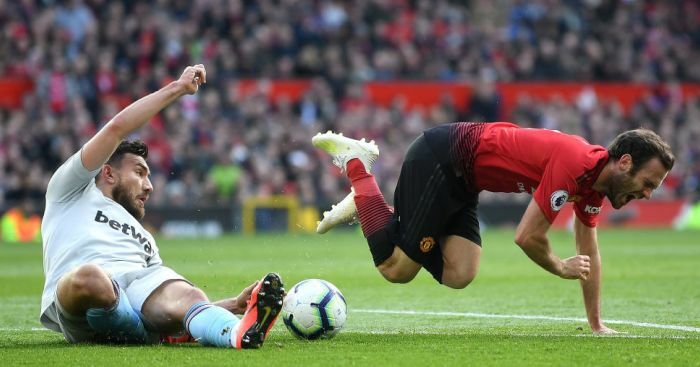 In this instance Sergio Aguero cleverly ducked out of the way to ensure he wasn’t in Sergio Rico’s eyeline, thus ensuring no offence was committed. Full marks to Kevin Friend and his assistants for getting this one right. 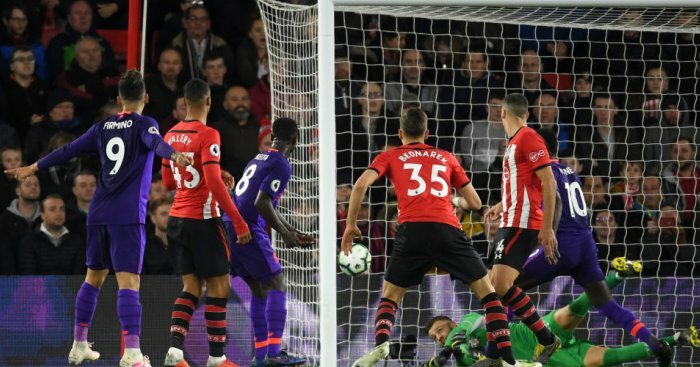 City had a legitimate penalty appeal waved away when Raheem Sterling went down under Timothy Fosu-Mensah’s challenge on the stroke of half-time. It looked a foul to us and Fosu-Mensah can count himself lucky. The Eagles finally broke the deadlock from the penalty spot on Saturday after Juninho Bacuna hauled down the lively Wilfried Zaha in the box. There was no reason for Juninho Bacuna to go down and make that challenge. It was just poor play. And a clear penalty. Watford were waiting for a flag that in the end didn’t come at Old Trafford as French ace Anthony Martial bundled the ball over the line after Ben Foster failed to hold a low cross by Jesse Lingard. Replays confirmed he was on. Just. Morelos received his fifth red card of the season for a shocking elbow on Scott Brown in Sunday’s Old Firm derby. Talk about a liability! He now has more red cards than goals in Old Firm derbies. 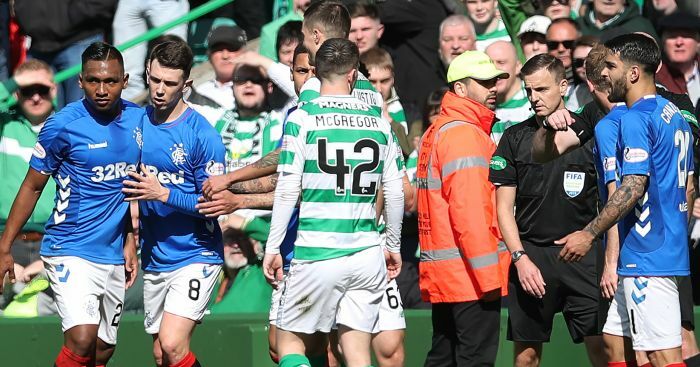 Rangers on-loan winger Ryan Kent decked Celtic skipper Scott Brown with a blatant (though far from textbook) jab in Sunday’s powderkeg derby at Parkhead, yet somehow escaped even so much as a booking. 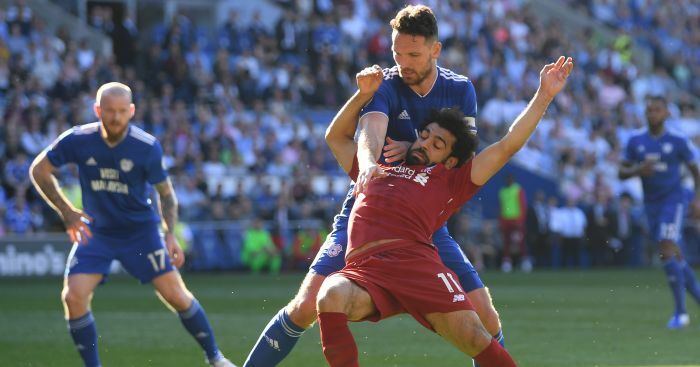 It was violent conduct and he should have walked, but given the incident was not picked up by the officials at the time there’s a very real chance he will yet face retrospective action. 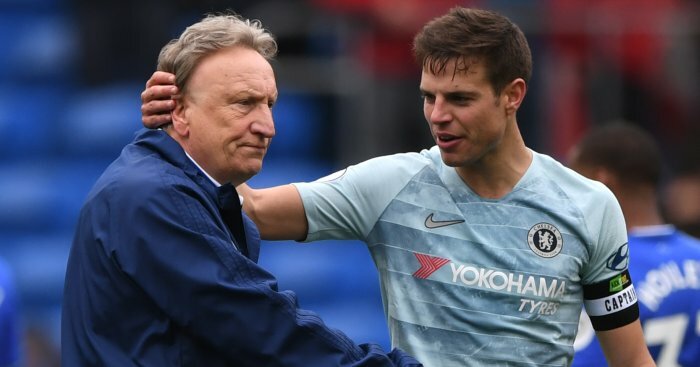 Massive controversy in Wales when Cesar Azpilicueta nodded the Blues level from a corner, but was miles offside. You can talk all you want about VAR, but that was as clear as day and should have been spotted by the officials. Azpilicueta, standing in front of the Cardiff ‘keeper, was at least two yards off when he headed home. 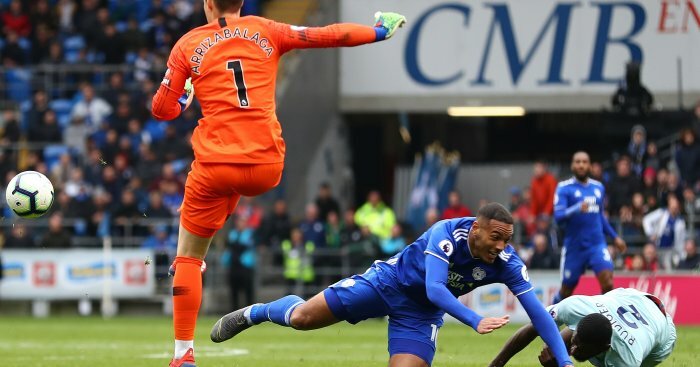 There were huge appeals for a Cardiff penalty when Sean Morrison was brought down by Antonio Rudiger at the Cardiff City Stadium. It looked like Rudiger yanked his man to the ground in the area but this was again missed by the officials. VAR? Where for art thou? 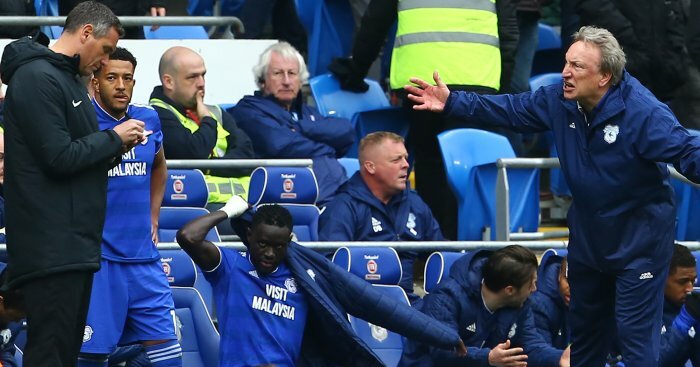 As Cardiff chased a late winner they pumped long ball over the top looking for substitute Kenneth Zohore. The big Dane was clearly pulled down by Antonio Rudiger but referee Craig Pawson only deemed the foul worthy of a booking. Rudiger was not making a legitimate attempt to play the ball, and was the last man, so that really should have been red. Does young Morelos have the shortest fuse in football? Brown definitely had a little niggle at him but his reaction, a blatant clothesline, would not have looked out of place in the WWE. Five red cards in a single season is frankly unforgivable.